Share ideas and have your say about what's going on here at the centre. Our local councillors will be there to answer any questions you may have. Stuart Bullen will be on hand to answer any questions about traffic issues, and Paul Barker will chat about developing and enhancing the cycling/walkways network in Wellington. All welcome. 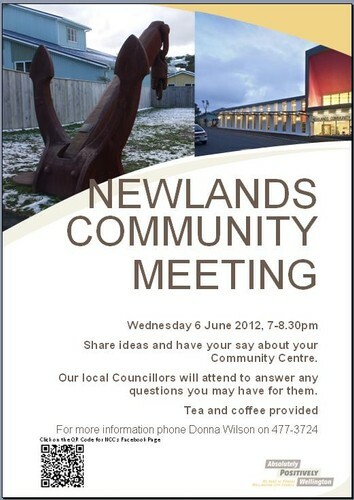 Call Newlands Community Centre on 4773724 for more information.